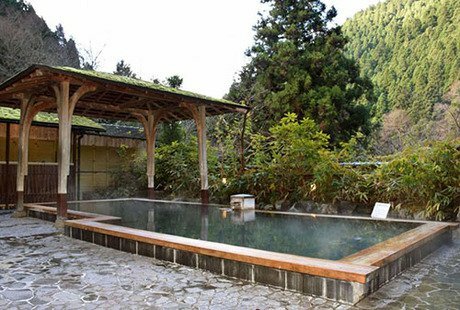 More than 25,000 natural hot mineral springs are an important source of energy for Japan 's health tourism . Located in the volcanic area of ​​the Pacific Ocean, Japan is likened to a "warm bed" with continuous geothermal activity. The country has more than 25,000 natural hot mineral springs that provide "living resources" to more than 3,000 spa resorts across the country. Hot spring bath (onsen) is an important part of Japanese culture with the characteristic rituals have long been. 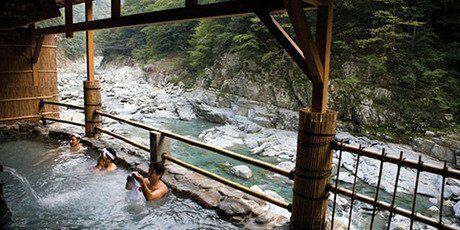 The following are the basic guidelines for visitors who have first-hand experience onsen. Depending on the facility, guests will have to wash their hands with tap water or scrub with soap before entering the hot tub. It is best to bring your own soaps, shampoos and towels. Most onsen does not allow visitors to wear swimwear. At these spas, there are separate bathtubs for men and women. You can use the towel to cover your body when on the shore. The purpose of this is to keep the water as clean as possible. According to OnsenJapan, people with traditional tattoos are understood to be in gangs or have relationships with organized crime. Although this provision appears to be discriminatory in the present era, some onsen remains open to visitors with tattoos. Many onsen are not allowed to take photos to ensure privacy. If you want to take pictures of the surrounding landscape, you must ask the resort staff first. Visitors are encouraged to drink bottled water to keep their sanitation. Most importantly, do not drink alcohol before going to the bathroom, partly because long exposure to hot water when drunk can be dangerous to health. Mineral bathing is considered as a healing and medical treatment, which has been widely used in Japan. Although often referred to as a "side effect," its benefits have been demonstrated by world-renowned medical studies. The combination of chemistry, temperature and pressure of the thermal baths is used to treat health problems such as dermatitis, arthritis or lower back pain. Sulfur and magnesium in hot springs help promote skin health, while heat can reduce inflammation and pain and boost the immune system. The onsen in Japan must have a temperature of at least 25 degrees Celsius, even some up to 100 degrees Celsius. One of the most famous onsen baths in Japan is Kurama Onsen, a tranquil outdoor bath located less than an hour's drive from Kyoto city center. Housed in a comfortable, beautiful ryokan, the Kurama Hot Spring offers visitors stunning mountain views with a Japanese cedar forest. 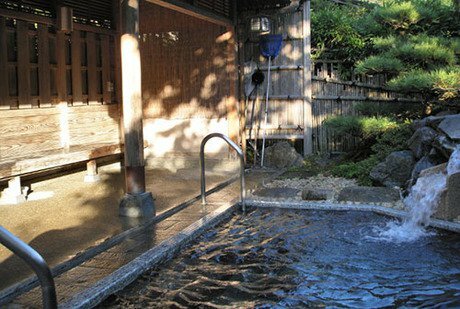 The traditional ryokan has other famous hot spring baths, including Gyozanen and Seryo, two beautifully designed resorts in Ohara, a rural district north of Kyoto near Sanzenin Shrine.